their pant legs, though this isn’t always practical especially in the colder months of the year. Feeling that they have a product that is better, and only slightly more expensive than your average velcro strap, Jonathan and Jenifer Stark have launched their Boston based business with their Massachusetts made StaySharp Commuter Cuff. Made with a patent pending design, each cuff is made in the USA from Cordura fabric in a variety of colors. 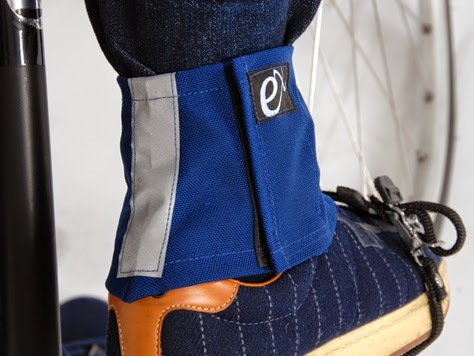 The shape of the Cuff is designed to keep you pants out of the chain, while also protecting the laces of your shoes. Designed to be worn of the right leg, the cuff closes around the ankle using velcro and includes a reflective panel on the rear for added visibility. 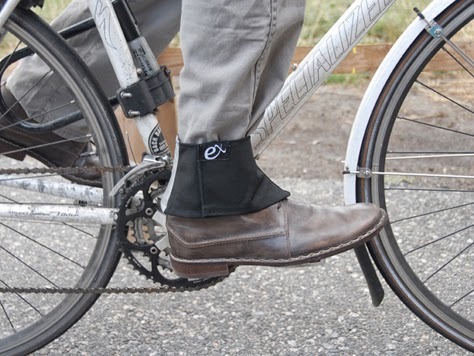 Works well for riding bikes with any type of pant-leg or shoestring issues. Great for kids commuting to school, men/women commuting to work and for everyday bike rides in cooler weather to keep jeans, pants and strings from getting caught in the chain of the bike! I have had several times when myself or one of my kids has gotten loose clothing or shoestrings caught in the pedal or chain of our bikes. It makes it very dangerous and easy to have a serious accident when loose clothing or strings are right where they can get caught in the bike as it is being ridden. With t the StaySharp Commuter Cuff from Exposed Seam, a few seconds of time to put this velcro cloth on can save a lot of skin damage and clothing damage. It is not only sturdy and strong but comes in fun colors. It also has a reflective area on the back of the cuff to help with safety while riding. A great item to have on hand for any bike trip - whether for fun, exercise or work/school travel! Would you like to have a StaySharp Commuter Cuff for yourself or a friend? 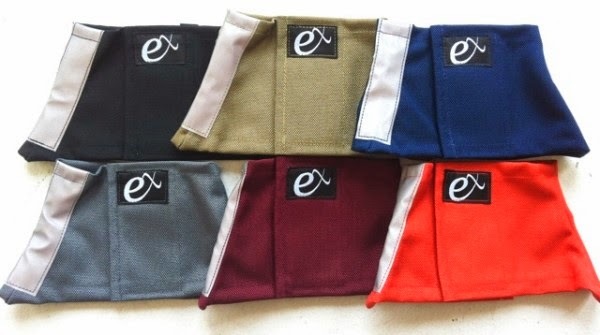 Enter below to win a StaySharp Commuter Cuff in the color of your choice! Must be 18 or older to enter/win - US only please. Winner will have 24 hours to reply and claim prize!